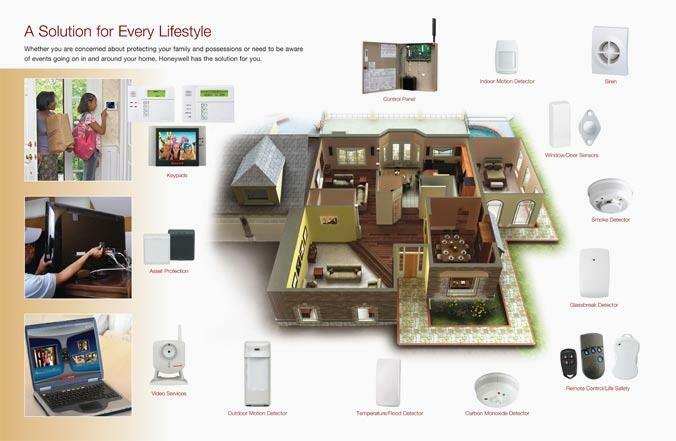 How to choose the Best Home Automation System? Security has always been an issue to every household and even in office premises. Technology has come forward to address such issues with automated home and office security systems which has changed the definition of security today. Now you don't need to depend on human vigilance to safeguard your home or your office. Before you go for one, you might feel like having a check on which features you should focus on based o your needs. If we are looking forward to go for a smart house system, there would be several things that we need to keep in mind. We would expect a system with a strong compatibility with every other kind of devices, it should work with the right way of functionality and can boast of a technical support which one can ever have. But before everything else, the first and foremost criteria of an ideal home security automation system is the one that can be customized with your needs. And the good news is that there are endless possibilities for such automated intelligent home control system which is growing day by day with the latest technological advancements. As of now the tech stores are filled with such home automating solutions with different sets of features that claim to be compatible with every possible needs. So it is not going to be an easy task to take the right decision about exactly what kind of smart home would really ensure your safety, utility and convenience. Here are few points to ponder before you go for one. Knowing the difference of being a house owner and a renter, the latest security technology has moulded its way and made custom design for both the type of apartments you are staying in. For rented apartments one would preferably need a wireless system that can be installed by themselves and by owning the equipment it won't require any external help to get it moved while shifting. For the house owners, the security system can be pretty flexible banking on the needs and the price range one is ready to afford. As there's lesser probability of shifting and one is most probably looking for a permanent solution a landline system along with a cell uplink backup would cover up maximum kinds of situations ensuring total protection of the house. For a total control on your home, the feature of mobile accessibility is of foremost importance. Most of the security systems have the tendency of arm and disarm your system through a key fob, web-enabled device or a smartphone, but there are some companies who are offering the feature of controlling lighting and thunder with thermostat settings through mobile accessibility. And if you need to be ensured of total security, you cannot ignore this feature. Apart from being able to catch any unknown intruder right in their action, security cameras have a lot more things to cover. They serve your purpose both when you're indoors and while outdoors. At home, one can just keep watching on the family members being in the other rooms and also get to see the front door from every corner of the house. This comes to your rescue when you have a toddler at home and you are busy in some other room. While away from home, keep yourself aware of what's going on at home, see if your babysitter is doing her job fine, stay informed about when your kids get back home from their school, and also follow how fast the maintenance workers are working. The examples can be endless as every house has their unique set of necessities, habits and situations. A two-way Voice facility gets you to speak to your family members and your servants directly with a monitoring centre representative through the control panel. If situations arise the way that you can't get hold of the control panel, you will be able to talk to the representative even from a distance of 75 feet away. That's amazing and that was necessary. It really does good to old people who are unable to move and seeks help in emergencies. though needless to mention, a security system has to offer unconditionally a system back up of 24 hours monitoring without which it doesn't make much sense. These are sensors which can detect the toxic level of your house. Like if there is any leakage in the gas or air conditioner tube. If by accident our home reaches beyond the permissible levels of carbon monoxide, this sensor will instantly create an alert and help you in saving your home before a bigger disaster takes place. A personal security device is a very important feature of any automated home security system as it makes each and every member safe as it connects them to the people who can help them out. It is generally made up like a small pendant which can bee worn around the neck or be kept in the pocket. In cases of medical or personal emergencies one can simply push a small button to create an alert to the emergency services who can take quick actions. Remote access is the ability which lets you access the security system through web-enabled devices like a smartphone or tablet. It enables to view the system's latest status through text or email alerts. There are few security companies which have also included a remote view camera feed to control the locks, lights, appliances and thermostats. Sensors are those parts of a security system that can detect movements, break-ins, and any emergency situations like fire, flood, freezing, or excess of carbon monoxide leakage. 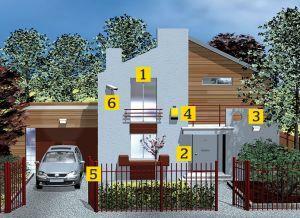 A security system can include a number of sensors depending upon the priorities you choose to have. A smoke sensor can detect smoke particles that are present in the air and can create an alert for you if there is any probable danger of a fire. In most cases, the heat sensors work as the same like the smoke sensors. The doors and windows sensors act as detectors if any door or window is opened. So if you are all alone at home or even outside you get to know if any door or window of your house is being opened. That way you can be prepared well in advance and arrange for your safety through the other features of the same security system you are having. Technology today is there for you to make your life secure as much as possible. But a mere mechanical device won't work up the right time unless you use the presence of mind and know how to use the system, when and where. Even an automated security system needs an alert mind which knows what to do when situation arises. You have to remember that the system can only create an alert but cannot solve the problem itself. So, whenever you go for installing such a system for your house, you also need to look for ways and means through which you can respond to the situation. To ensure the maximum level of security, one may choose to avail all of those features which are been offered. But before going for one, consider your house conditions, your family members, and of course your daily routine. The main criteria should be to ensure a complete system which can reduce your worries and smoother your lifestyle through the latest available solutions.